Follow this guide that will show you how to install a wireless doorbell. It is an easy to follow, 6 step process from start to finish. Here are the best wireless doorbell options for a kids playhouse. Number 1 is the exact wireless doorbell model I have on my Sons playhouse! As part of our wireless doorbell reviews, we took a look at the Homasy mini wireless doorbell. It was clear from the outset that the design plan was to make it as small as possible, and boy did they hit that target! Here we review the SadoTech Model C wireless doorbell. This highly rated doorbell has THOUSANDS of positive reviews on Amazon. We take a look to see why. It can be difficult to know which doorbell option to go for, especially if you require a long range wireless doorbell. Here we look at the best long range choices. Honeywell RDWL515A2000 wireless doorbell review. Take a look at our review to see exactly what you can expect from the Honeywell RDWL515A2000 wireless doorbell. Get to know the great looking doorbell that is a good option if you are deaf or heard of hearing. Ring Video Wireless Doorbell 2 Review | Here we review the fantastic features of what is (in our opinion) the best WiFi video doorbell you can buy! With an excellent, 1080p HD camera (with night vision and motion sensors) and lifetime theft protection, you cannot go wrong with the Ring Video Doorbell 2! Here are the 7 things you need to consider when looking to buy a wireless doorbell or wireless doorbell kit. Buying a wireless doorbell can be confusing, so we have detailed 7 things you need to remember when you buy a wireless doorbell. When buying the best wireless doorbell, only the best preparation will do! Want to know the benefits of using a wireless doorbell? Here we lay out 5 of the best reasons why you should go for a wireless doorbell vs a standard wired doorbell. Security, ease of installation and integration are all covered in this article. Wireless Doorbell Full Range v Working Range. 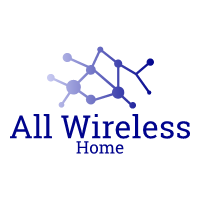 Do you need to buy a wireless doorbell but you are not sure how far apart you can put the receiver and the transmitter? Use this guide to find out the differences and why they are important. Avantek DB-21 Wireless Doorbell Review | Here we review the Avantek wireless doorbell, one of the very best options for a doorbell if you are looking for a waterproof or long range option. Here you will discover what is in the kit, what the working range is and how to install it, amongst other important details. PHYSEN Model H1 Wireless Doorbell Review. We review this excellent wireless doorbell, which is a great choice if you need a cold weather, waterproof, expandable wireless doorbell! Take a look to find the pros and cons, along with the working range and more!